Opinel pocket knives are one of the most popular and sheeple-friendly pocket knives available. The signature Opinel wooden handle may be appeal to some, but knives with slim handles are always practical given their comfort in the pocket. Knifemaker Ross Tyler modded the No7 carbon steel knife, which he describes as a “pimped up toxic post apocalyptic Steam punk’ish Opinel mod”. 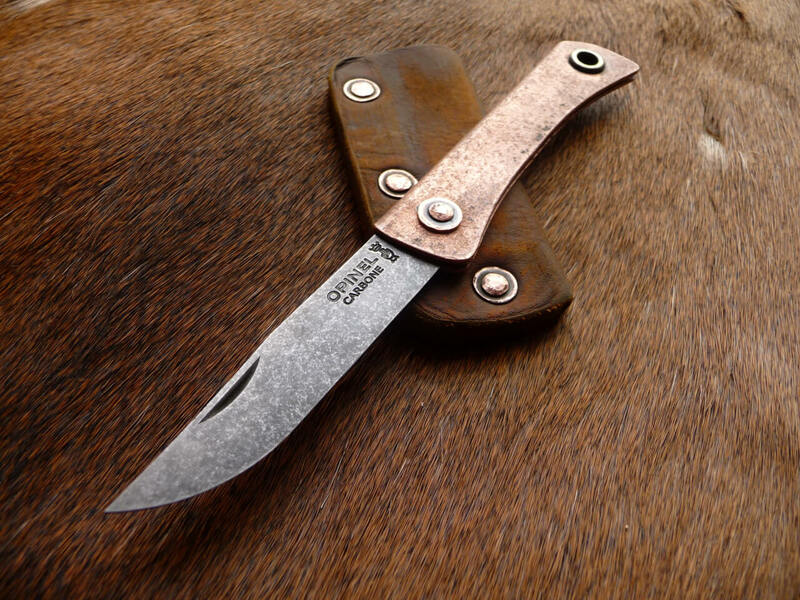 Paired with a nice, slim copper handle, this is definitely one cool knife that will not only carry light but take on a great-looking patina as it ages!